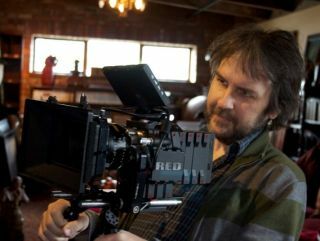 Peter Jackson has decided to shoot The Hobbit in 3D at 48fps, as he believes it will offer "hugely enhanced clarity and smoothness". For 90 years or so, movies have been shot at 24fps but Jackson believes it is time for a change of pace and he will prove this with the upcoming 3D movies of The Hobbit. "There's no doubt in my mind that we're heading towards movies being shot and projected at higher frame rates," said Jackson, hopefully while smoking a pipe in Hobbiton. "Warner Bros has been very supportive, and allowed us to start shooting The Hobbit at 48fps, despite there never having been a wide release feature film filmed at this higher frame rate." So, what will this enhanced frame rate offer? Well, for a start, Jackson believes he is "future proofing" the film and it will stop blur from occurring in fast-moving scenes. "Film purists will criticise the lack of blur and strobing artifacts, but all of our crew – many of whom are film purists – are now converts. "You get used to this new look very quickly and it becomes a much more lifelike and comfortable viewing experience." Jackson is so impressed with 48fps that he says that it's "similar to the moment when vinyl records were supplanted by digital CDs." If 48fps is CD, then James Cameron is already looking at the MP3 – with his news that he will shoot the next Avatar film at a whopping 60fps. His reason: "3D shows you a window into reality; the higher frame rate takes the glass out of the window." Frames, windows… Jackson and Cameron may be great film directors but they would be even better windows salesmen.